Perhaps you have heard that on March 31st Netflix released a new series called “13 Reasons Why”. If you are not aware of this, you should know that the youth you may come into contact with have most probably heard of it and may have already watched it. This series has become an instant attraction to young people. Across the country, youth are binge watching this series and are reacting to it with friends and on social media. 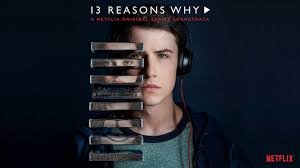 “13 Reasons Why” is a series about a young high school girl, Hannah, who takes her own life and sends out 13 cassette tapes to those whom she blames for her death. The series was adapted from a book of the same name. 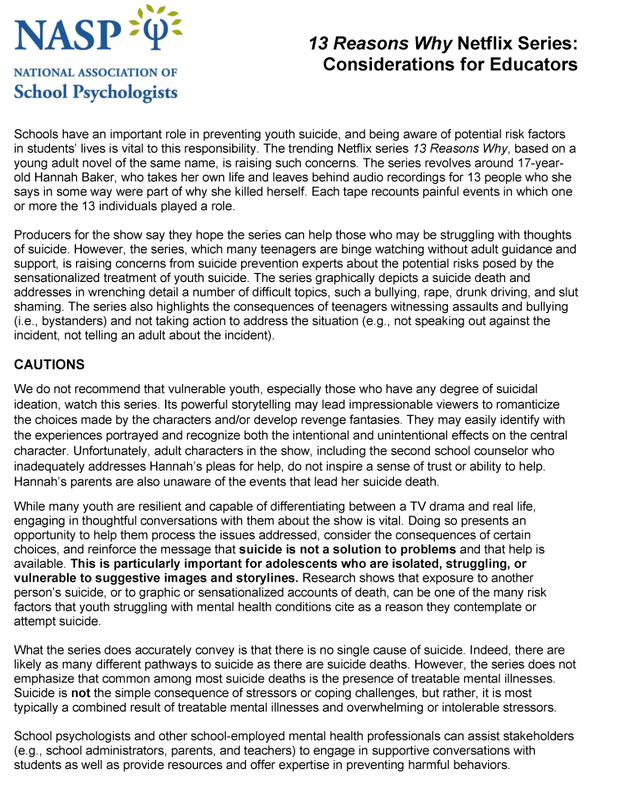 While the show is fictional, the series is extremely graphic and raises significant concerns about the emotional safety of those watching it – especially for those youth who may have had some experience with mental health issues, suicidal thoughts or behaviors. 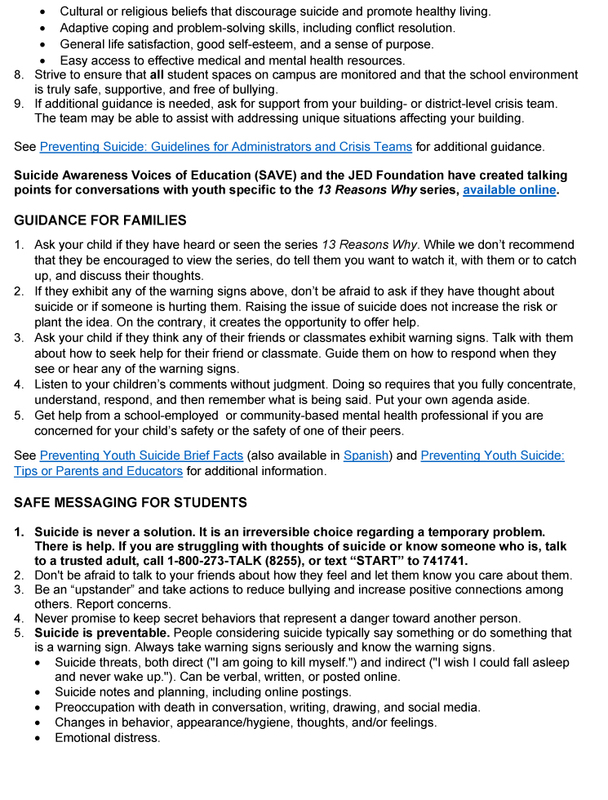 We, at New Jersey’s Youth Suicide Prevention Advisory Council, want you to be aware of this series and how to provide some safety for youth around the show’s content and any feelings the show may be bringing up for them. In order to address these issues with teenagers we need to remember to ask about what they are feeling and seeing and we need to listen. 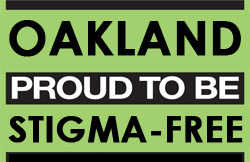 While there are some very disturbing and graphic scenes and ideas, there are some strengths in the series that provide excellent opportunities to have a conversation about suicide prevention and how to protect yourself and your friends. We encourage parents to watch the series with their children and have these conversations openly rather than simply criticizing a series that most teens are already watching. 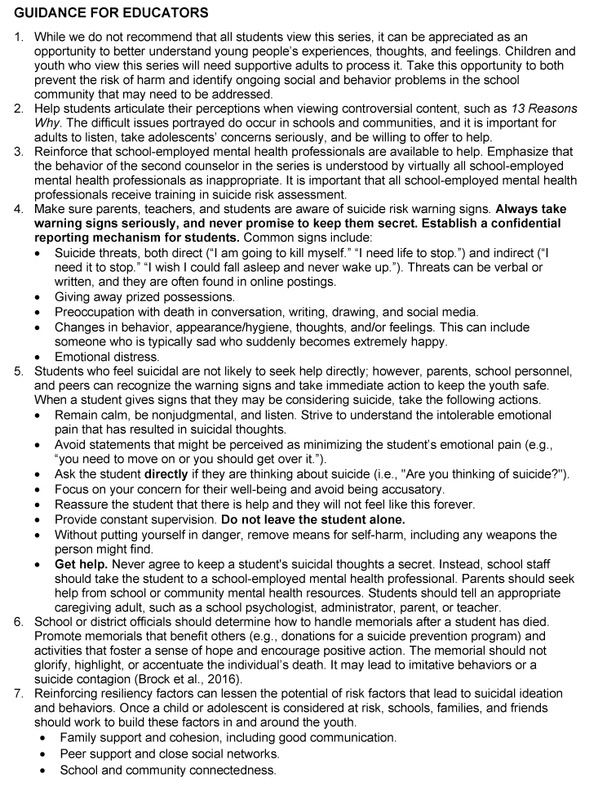 We have provided a handout from the National Association of School Psychologists which provides some excellent guidelines for discussion and response whether you are an educator, mental health professional, parent or youth. We encourage you to share these talking points, as well as the resources listed below, with anyone who has contact with youth including teachers, counselors, parents etc. 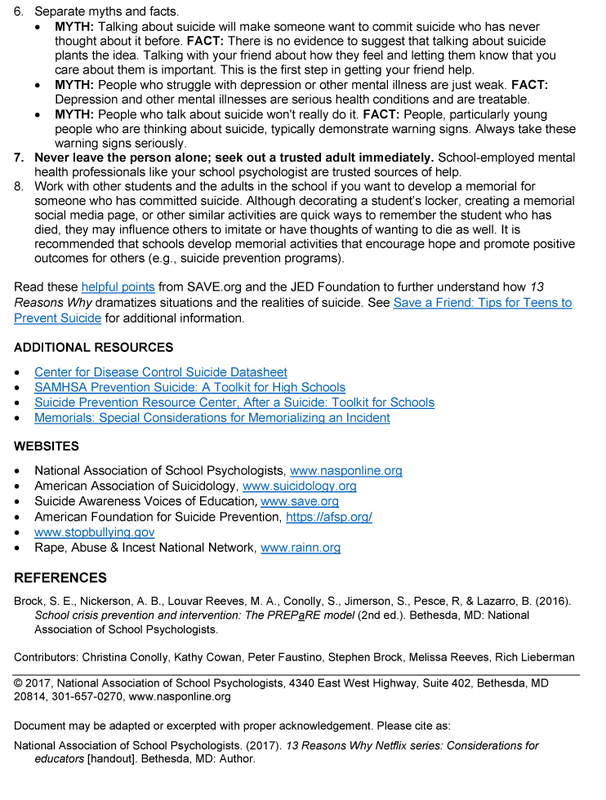 We understand that this material can be difficult and if you do not feel comfortable or if you are interested in further education on how to become a partner in youth suicide prevention, how to get additional suicide prevention education or training, or if you are in need of mental health support for yourself or others, we encourage you to reach out to the following resources. On behalf of New Jersey’s Youth Suicide Prevention Advisory Council, thank you for listening. Please feel free to reach out with any questions.